For special occasions, nothing brightens up your table or home better than a beautiful candle or candles. 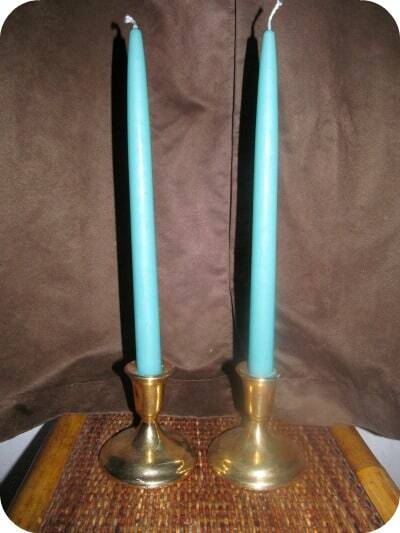 Colonial Candle has a wide selection of candles and candle accessories for virtually every occasion. My favorite color is green, which to me symbolizes the beauty of nature. 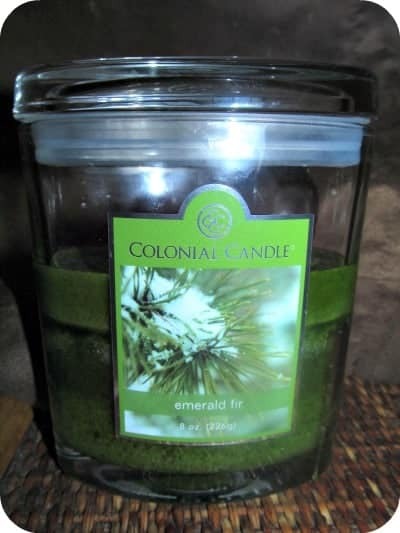 Colonial Candle has the most beautiful Emerald Fir collection that we use to bring the richness and depth of the wilderness into our home. It has a lovely but not overwhelming scent of cinnamon, peppered clove and maple which is absolutely amazing! From votive candles, pillar candles, tea lights and jar candles there is the perfect candle for every room in your home. My favorites are the Handipt® Candles which look beautiful for a romantic dinner, party or special occasion. The one that I like to give as hostess gifts are the pretty 8 Oz. Oval Jar Candles ($15) and the Scented Smooth Pillar Candles. I am very pleased with the quality and attention to detail in every Colonial Candle. There are many wonderful options available and the fragrance collection is amazing. You can choose from such wonderful scents as Afternoon Tea, Berry Sorbet, Caramel Apple, Yellow Jasmine and Wild Iris. If you are looking for something exotic then you should check out the Dragon Fruit, Moroccan Market, Coconut Rain and the Thai Silk which boasts “fruits and florals with rich woods and amber”. I highly recommend Colonial Candle for all your candle and candle accessory needs. There are a wide range of candles in a variety of attractive price points to suit virtually every budget. You are invited to visit the Colonial Candle website to browse the entire collection and select your favorite candles. I noticed that you can receive free ground shipping on orders of $75 or more too! Let us know which scent you think is absolutely amazing! Connect with Colonial Candle on Facebook and Twitter too! I like the scent selection! Candles are such a great way to create a cozy home. The pillar candles shown are so pretty. I love big jar candles, I always light candles, I love the smell! Always looking for new ones so thanks! The names of the candles is enticing in itself! Love how they pull at you with hints of how they smell. Always a bonus of finding more quality candle products. Thanks so much! Huge fan, thanks for the review! I love candles but have never tried these. I really like the selection and want to try these. Thanks for sharing! Oh Emerald Fir sounds like it smells wonderful. My kind of blend! Seeing your tapers threw me for a sec. Nobody seems to use those anymore!